Troopers alum Rob Cameron submitted this photo and caption. This is the Troopers bass drum line from 1991. We took this picture on a day off from rehearsal in Jackson Hole, Wyo. 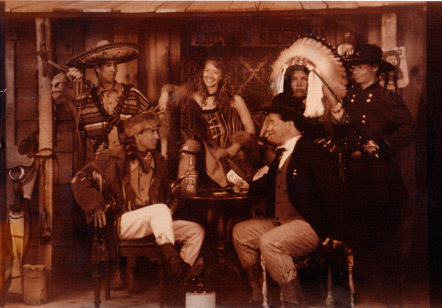 Clockwise from the upper left is Shannon Feidler (bass #4), Patricia (Bennett) Solis (bass #3), Lyle "Lenny" McCartee (bass #6), Chris Dye ( bass #2), Rob Cameron (bass #1) and Rob Genter (bass #5). Great line and great friends all summer.